Shopping malls winter discounted sales. Export blocked domestic cold spring clothing postponed listed apparel industry "cold winter" especially cold this year around the Spring Festival, Guangdong continued low temperature, Guangzhou ushered in the coldest spring festival in recent 10 years, the average temperature is lower than the historical period of 3 Â°C ~ 5 Â°C. However, â€œSkyâ€ did not bring any warmth to the textile and clothing industry. On the contrary, our reporter followed the company and visited the Guangdong Apparel and Apparel Industry Association. It was learned that the weather is cold and the global economy is cold. . Economic instability in Europe and the United States caused the textile and garment industry in Guangdong to experience a rare winter in recent years. About 80% of orders from service companies can only maintain the first quarter. At the same time, the domestic apparel industry is also not optimistic. As the Spring Festival comes early this year, holiday consumption has not been completely stimulated, and the company's handling of inventory prices has not been able to rise. With the delay of the spring sale in 2012, the sales period has also been shortened. "The date of the appointment is hardly a smile. Even the production of new products is facing a dilemma. Perhaps in 2012, the apparel industry will face a "cold chill." After the Spring Festival in 2012, the Guangdong Clothing Apparel Association organized a survey on the operation of the garment industry in Guangdong from February 3rd to 10th. Involved in Guangzhou, Foshan, Shenzhen, Dongguan, Zhongshan, Zhuhai, Kaiping, Chaozhou, Shantou, 9 cities, 16 garment industry clusters. The survey shows that after the Lantern Festival in 2012, the average operating rate of Guangdong garment enterprises was about 70%, and the number of workers missing was over 30%. In the survey, 38% of companies surveyed indicated that recruitment was extremely difficult. 32% of the companies reported that it was difficult for workers to apply. 14% of companies reported that the rework of old employees was unsatisfactory. Among them, only 20% of companies said that orders are abundant, 80% of companies said that orders still have some protection but can only maintain the first quarter. In addition, last year's warm winter caused a lot of inventory, after the spring is still busy dealers deal with inventory, companies continue to produce more inventory, do not produce workers will lose. The domestic sales of white horse clothing market only came to the very beginning of the Chinese New Year in 2012, which was usually 7-80%. This caused the clothing market after the festival to be as cold as the present. Carlo John is one of the largest chain stores in Guangzhou clothing companies. Its general manager Yun Jian told the reporter yesterday that after the Spring Festival last year, the off-season quickly passed. However, after the Spring Festival this year, the weather is still very cold, and the cold has two consequences. First, it was not possible to produce more winter clothes. Years later, when the season began, the clothing industry handled the inventory again. Last year, the inventory of winter clothes produced last year has not come yet. . Last year's sales performance of its enterprise was not satisfactory, and sales staff's year-end awards have generally shrunk. Second, the spring and summer clothing has been delayed. According to him, after the Spring Festival, it was time for Guangzhou to launch spring-summer clothing. However, the climate in Guangzhou and even the country continued to be cold in the past few days. The market for apparel this spring may have a short period of time, resulting in poor sales. Yesterday, relevant staff of the Guangdong Garment and Apparel Industry Association also told this reporter that the current cold weather in Europe and Asia caused the postponement of the winter, winter clothing sales will continue for a long time, the corresponding spring clothing market will be relatively late. Uncertainty in the sales situation has caused a serious atmosphere in the apparel industry. According to the statistics of the Guangzhou Baima Clothing Wholesale Market, as the most important clothing domestic market in China, the flow of people at the peak of the pre-holiday period is 100,000 people per day, but after the holiday, the daily flow of people is 30,000 to 40,000, only For the usual traffic, 70% to 80%. The appreciation of foreign trade made the company lose half of its profits. Last week, the exchange rate of *** against the US dollar broke through the first 6.30, and hit a new high since the exchange reform. It once again touched the hearts and minds of foreign trade companies. Guangzhou Panyu Sanyue Fashion Garment Co., Ltd. is a Hong Kong-funded company that exports 90% of garments produced by enterprises. Pan Shuyi, the chairman of the Board of Directors, once told this reporter that as a foreign trade market company, besides worrying about rising raw materials and labor costs, the exchange rate risk that companies face cannot be ignored. Pan Shuxi said that their export business spans Europe, the United States, and the Middle East, and that the dollar is the only settlement currency for foreign trade. Therefore, once the *** rises against the US dollar, labor-intensive companies like clothing will face enormous challenges. 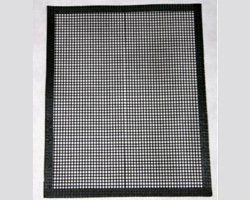 The annual turnover of the company is several hundred million dollars. If *** increases by 5% against the US dollar, the exchange loss of the company alone will reach about 15 million yuan***. The company's profit rate is only 10%, so the appreciation of the *** may allow companies to lose half of their profits. In terms of foreign trade, the apparel industry is skeptical that Europe can handle its debt problems this year, so orders from Europe may not continue to be optimistic. Guangdong is a major garment exporter. At present, Europe and the United States have always been the major export markets. Emerging markets are non-mainstream. However, in the context of the economic uncertainty in Europe and the United States, there are voices in the industry calling for adjustments to the export route, but this road has been extremely difficult. Outlook This year, the garment industry will continue to shuffle the coldness of the post-holiday clothing market. An interview with Caro John, general manager of Yun Jian, said that an important reason is that consumersâ€™ consumer psychology this year has been somewhat depressing. As a result of the impact of the global economic environment, they dare not spend large sums of money. Secondly, as the Spring Festival comes early this year, the publicâ€™s desire to consume has not been fully stimulated. As a result, the consumerâ€™s performance last year was less than expected. Guangzhou Baima clothing wholesale market related sources told this reporter that the wholesale market as a domestic demand-based market, affected by the uncertainty of economic factors in Europe and the United States is relatively small, but the impact of the uncertainty of the domestic apparel industry is relatively large. After the White Horse found out through market research, the design and development of the clothing enterprises in the market in spring and summer were proceeding as scheduled, and the performance of some companies was normal. However, the purchasers did not enter the market, resulting in the overall sales of spring and summer equipment being cold. Provincial Association Association told reporters that after the opening of the year, clothing companies have a very clear feeling: in 2012 the apparel industry may face a "winter." Because of the slowdown in world economic growth, the appreciation of ***, the large fluctuations in the prices of raw materials such as cotton, and the rising cost of labor and energy, many unfavorable factors continue to affect China's garment industry. This year will be a crucial year for the industry to survive and renovate the fittest. Recently, the Guangdong Provincial Government promulgated the "Policy Measures to Support the Development of Small and Medium-sized Enterprises in 2012". At present, Guangdong's garment enterprises that have closed down or are about to close down are mostly small and micro enterprises with small scale and low added value. They chose â€œhibernationâ€ when the industry is in recession, and may return again when the situation improves. According to the survey conducted by the Provincial Association of Servicemen, many clothing companies have gradually realized the importance of transformation and upgrading. They have taken measures such as increasing investment in R&D and design, deepening brand building, equipment updating, information application and capital operation, and actively responding to many Affected by unfavorable factors, accelerating the transformation of development methods and continuously improving the level of science, technology, management, and marketing to achieve reduction in labor, energy conservation, emission reduction, productivity improvement, and profitability improvement. Eighty percent of companies will deepen their brand building. Among them, 83.33% of companies choose to â€œstrengthen brand buildingâ€ and 66.67% of companies choose to â€œincrease design and R&D investmentâ€ to enhance their competitiveness. The industry's efficiency will be further concentrated to powerful brand enterprises. Hu Baogang, a market industry research expert and chairman of Beijing Zhongmeng Creative Management Consultancy Co., Ltd., said in an interview with this reporter yesterday that now there are more than 60,000 garment companies in the country, which will be eliminated through mergers and acquisitions and transfer in the future. He proposed that the garment industry construct a three-dimensional industrial chain, including: the garment manufacturing production is the plane, the clothing creative and trade is the vertical industry, the clothing network and the digital three-dimensional industry. In this way, companies can build the entire industry chain of apparel. Guangdong garment enterprises are facing transformation and upgrading. He said that Guangdong was once the birthplace of the national apparel industry. The biggest problem facing them now is the transformation and upgrading. Enterprises should innovate and break through. First of all, we must have a "big production pattern," learn from the market operations of garment enterprises in Zhejiang and Fujian, and attach great importance to the integration of online and offline businesses to create brands. Secondly, Guangdong enterprises can organize training and lectures to discuss reasonable business models; at the same time, comply with the international situation. , carry out channel construction, and truly expand domestic sales and exports. 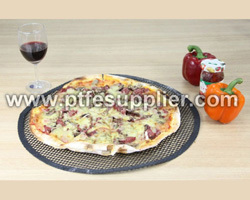 Our Non Stick Oven Crisper Mats & Pizza Mesh /Non Stick Oven Mats/Non Stick Pizza Mats was specially coated with a non stick surface,and oven heat can circulate through the mesh,Oven Mats and Pizza Mesh can prevent soppy,uneven cooking,evenly crisping the crust of pizza,fries,pies,pastries,spring rolls,chicken wings,chicken nuggets,fish sticks,bread rolls,baguette,etc. And will let the bottom of these food always deliciously crispy.